Research suggests that the first 5 minutes a student spends in your classroom each morning will set the tone for the entire day of learning… If they come in and have a focused task, it is much easier for them to remain in that mindset of learning through the day. When your students enter your room what is the mood? What are your expectations? Is there a clear goal? If your morning trickle in as I call it is chaotic and unsettling, chances are it’s pretty hard to ever get your students back on track and at their best for learning. For the past couple of years I resorted to quiet background music and morning work to get my students calm and focused. Unfortunately my school also served breakfast in the classroom so coco puffs and chocolate milk were part of that equation as well. You better believe I pleaded my case and even showed my research, but apparently kids need to eat and they need to eat in my classroom so that’s what they did for the last 5 or so years…I lost count when breakfast pizza came to town. However, one thing that makes me a little batty, is keeping up with the copies for my student’s morning work. Don’t get me wrong, I worked long and hard on my morning work and I feel that it is valuable for them, but scurrying to the copier is not my fave at the crack of dawn or at sore feet thirty in the afternoon…. That’s where this comes in friends! It’s revolutionizing my morning routine! 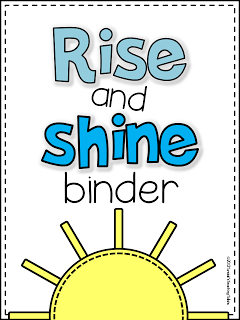 Each student will take out their Rise and Shine Binder in the morning as they trickle in and get settled. Students will do some write on wipe off activities for the number of the day. Depending on your grade level, you can make this number smaller or bigger. 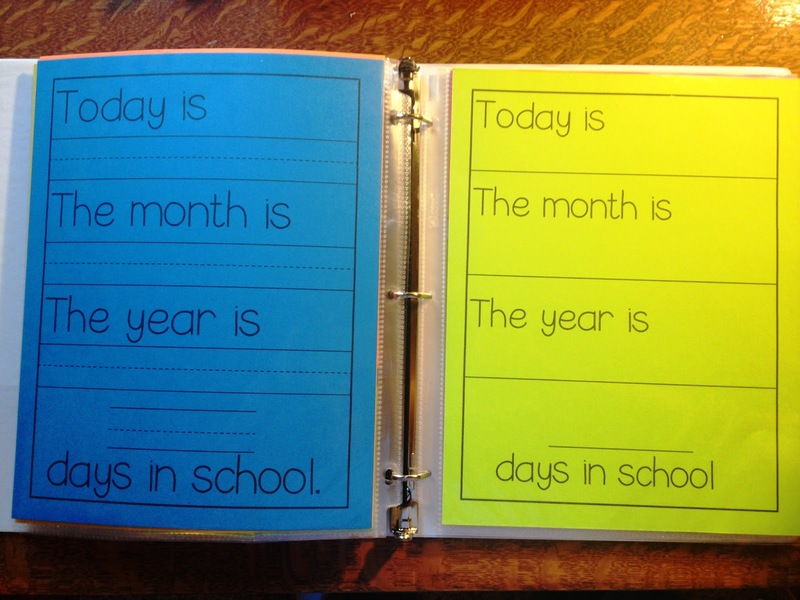 Being a first grade teacher, I plan to go with the days in school. There are different wipe off formats depending on the ability of your class. I would start on the left with kinder and firsties and work our way to the right hand side. They can make shapes, color patterns, add seasonal erasers, buttons, coco puffs…whatever you have on hand! We can also move on to more activities as our students are ready! 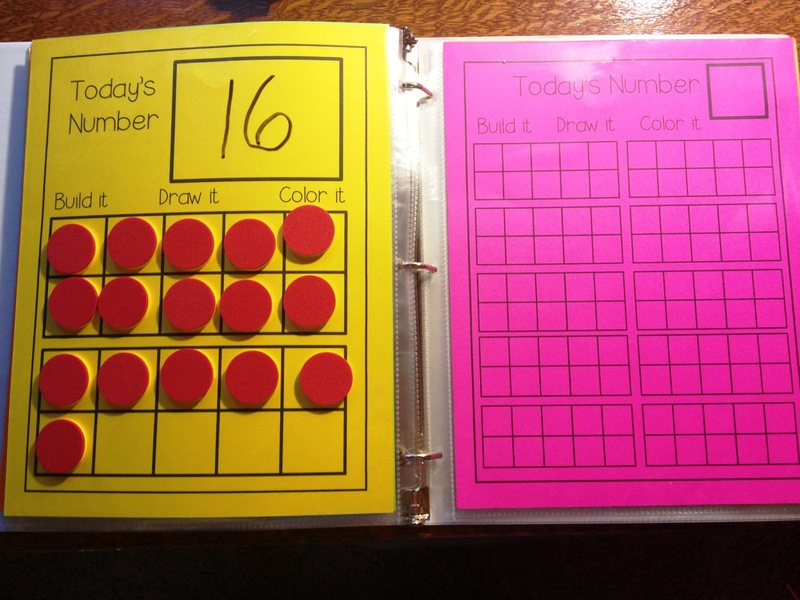 I included number charts ranging from 1-20 to over 200. 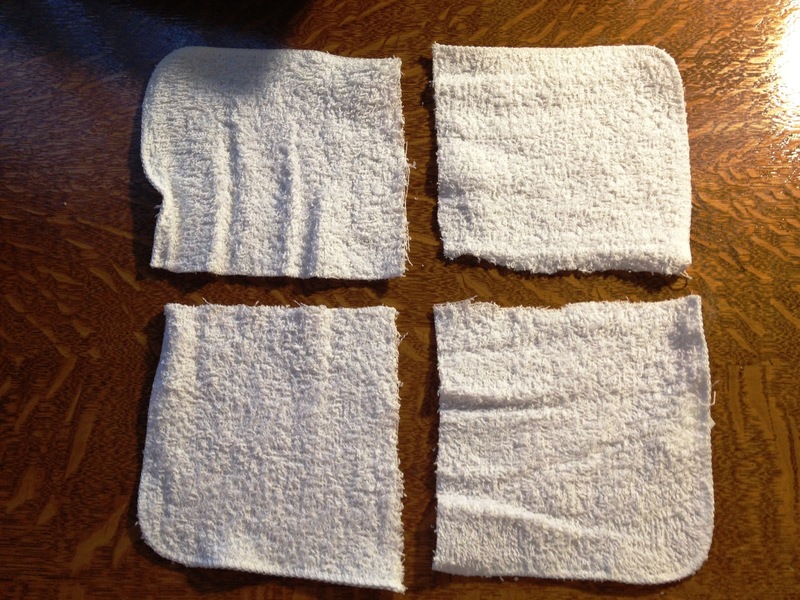 Students can use them for reference while working through their wipe offs. Perhaps Ralph wants to play tally concentration with a partner or just by himself. 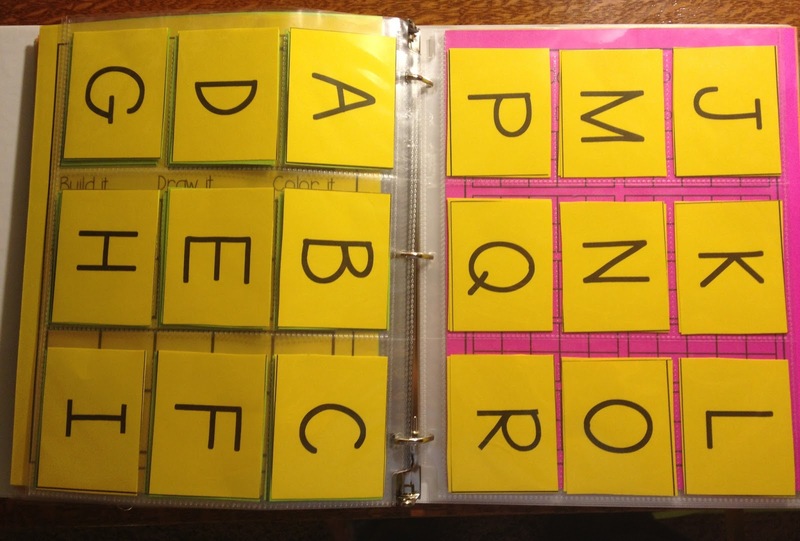 Students can choose color coded words or letters of the week and read, build, write, and spell to their heart’s content! This is editable so you can customize it for your sight words or spelling words! You can add them weekly as you go through the year! It has kinder and first grade words to get you started. 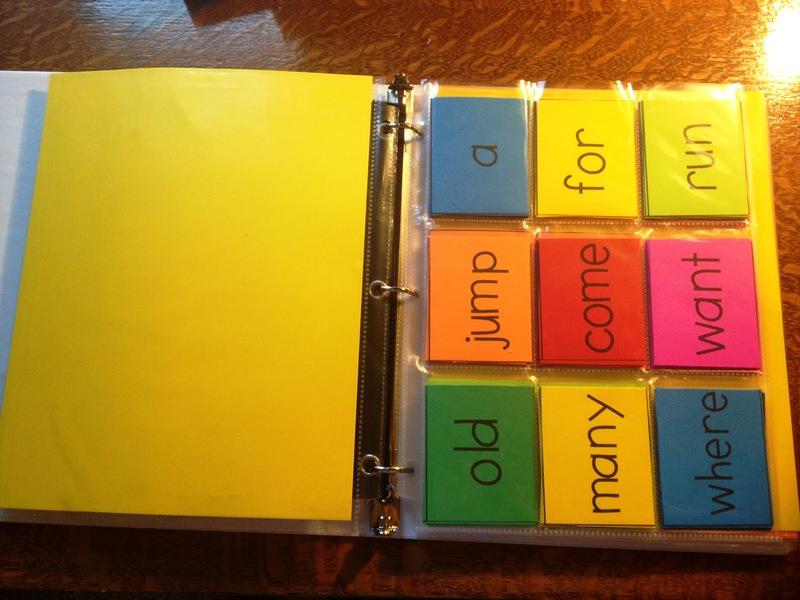 Another reason I am so excited about this binder is because when people come to tutor or support my students that struggle, this will be a resource full of so many necessary concepts for every child! They can grab the binder and review all these concepts with their tutor or their helper. 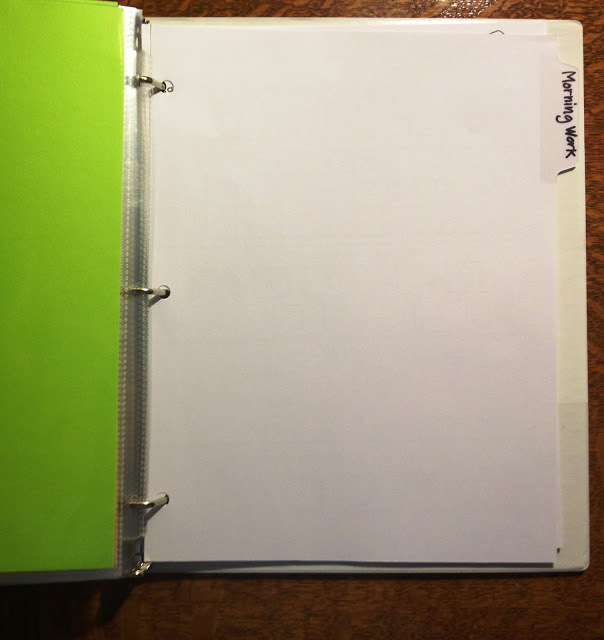 So how do you make a binder? Shopping list is included in the packet so you don’t have to make sure you remembered everything! 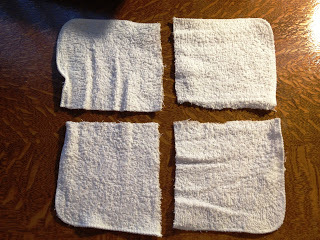 One package of cheapy dish towels cut into quarters become erasers to keep in the zipper pouches! Finally, you can take it a step further if you need and you can add a section for your beloved morning work of choice! I plan to have them do the morning work on certain days of the week! Make a much cuter morning work divider than I did pretty please…how embarrassing! 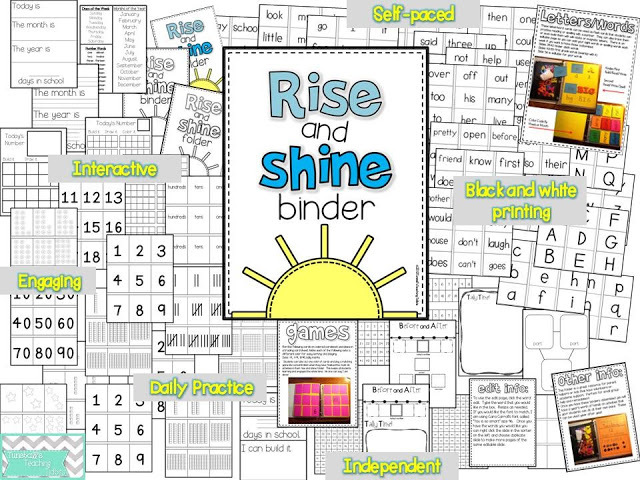 To get your very own rise and shine binders just click below! Oh my gosh! I love this idea! 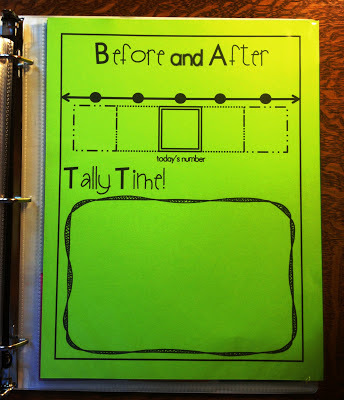 I did morning work with my seconds last year, and moving to first this would be so wonderful! It really stinks going to the copy machine for all the morning works! I love this! The school I have been in for the previous 2 years also did breakfast in the classroom. Some of my students really needed it but for those who didn't, I found myself struggling to keep them occupied with meaningful work & then I had the excess grading. 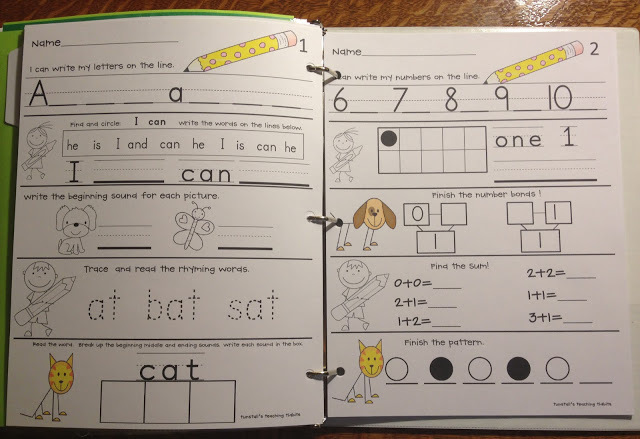 The write on/ wipe off is a great idea which I used in centers. Why didn't I think of that for morning work?! Duh! 🙂 Great packet, I just bought it! Thanks! I use a binder for my morning work too so I'm not always running to the copier but I hadn't realized how interactive it could be! Thanks for sharing! This looks great! My school also has breakfast in the classroom. Sometimes I like it, sometimes I hate it! Genius! No wonder you are a pimp! Wow you have so much for them to do in the morning! I really like how you incorporated a lot of things I would normally do during calendar… but seeing as how I don't have a lot of time for that anymore, this is a great place to put it! Thanks so much for sharing your awesome ideas! 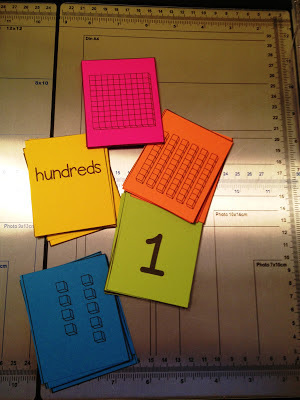 One thing I want to incorporate this year is 3 to 5 minutes of multiplication practice. You could play concentration with this. One card having the fact and one card having the answer. Also, we do a daily number (the number of day in school) with our calendar math and we ask questions like odd or even, factor of, multiples of. We also use it to do a penny fill in to create a decimal. We also use it to figure out different ways to make money out of the number (13 is one dime three pennies or two nickels and three pennies). Just some ideas. This calendar math is from Every day Counts Calendar Math. 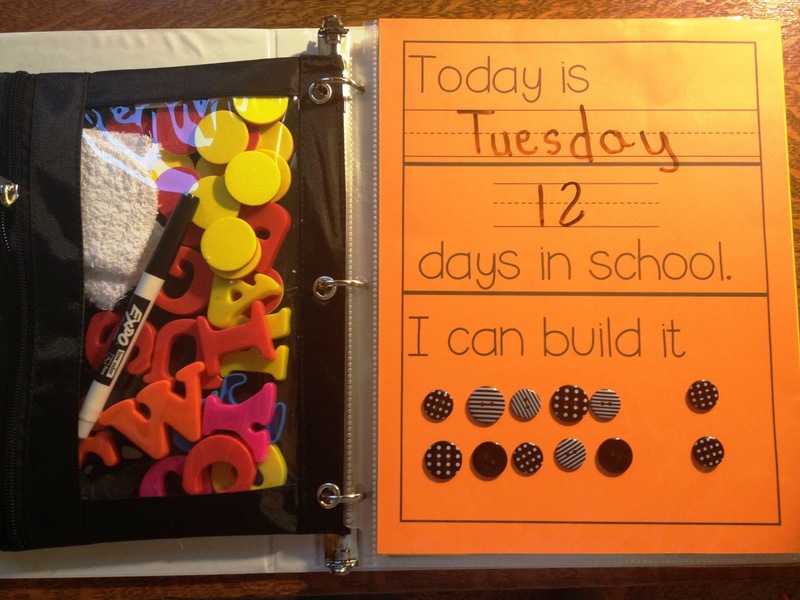 There are blogs that have created a daily worksheet. Just thoughts. Looks amazing! You are amazing! Love this! I am right there with you with the messy breakfast in the morning! Don't get me started! Nice! I also had to laugh about breakfast in the classroom! I'm right there with you!! Turns out, I'm obsessed with this idea! My first year at my school we used to have breakfast in the classroom but (thank goodness) they have taken breakfast out of our classrooms and have it in the cafeteria now! Now, the first 30 minutes of our day is intervention time in which kids get pulled out for reading interventions and the rest of my class is in my room working on literacy activities or working in a small group receiving interventions with yours truly! I love this set-up and has allowed for the kiddos to get right to work when they arrive to school! Great idea! I love your products!!! This will be our first year with breakfast in our classroom and I am very nervous about how it will look and the affect it will have on the tone of the class and instructional time. I teach a grade 3/4 but love the ideas you have shared in your new program. I may have to take a close look (aka buy it!) and look into that research on setting the tone for the day!! I could have written the same as AMC! This will be our first year of having breakfast in the room and I need to figure out how to manage the staggered arrival/food distractions. o.m.g. I think I just fell in love with you. Reagan this is such an amazing idea! You pretty much described me exactly…running to the copier at the crack of dawn to make morning work copies! I couldn't love this idea more. And, I love the idea of having soft music playing. What an awesome way to set a calm and focused tone. Thank you so much for the great ideas! Our students have breakfast in the gym, BUT for those who arrive late…they get breakfast and bring it to the classroom (sigh). After kiddos 'Take Care of Business' (put things away, BeeBooks, etc.) like Sarah, I also have learning stations (math) first thing, soft music, small group interventions. 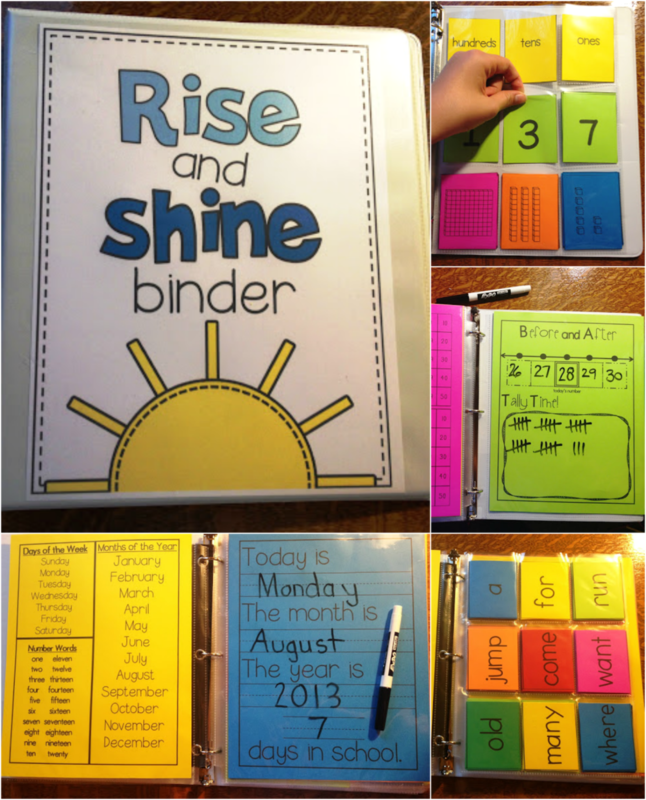 Use calendar binders later-but like this idea of using the binder for morning work. Due to limit on copying-have used write on wipe off for some time; really like the new wipe off crayons, less mess. Also, I have late breakfast diners stand at the back counter to eat, must wipe down area and wash hands and face BEFORE heading to station (hmmm, 'slight inconvenience? ')–most get done quickly so as not to miss any of the FUN. "And then when Suzy slow poke finishes here last cinnamon bun" LOL! I can identify with you completely! Hello Teaching Partners … check this out!! You are on to something here girlfriend!! Great idea and thank you for sharing! LOVE IT!! I am moving to 2nd and am TOTALLY gonna do this! We dont have breakfast in our room but they still trickle in and with announcements this is great! How do you introduce it and get it started at the beg of the year?? This is genius! I *only* have the whole class for 15 minutes before they leave for reading classes but this will be great to get them started. Thanks! This is great! We have just started doing morning work with our year 6's (grade 5) this year. 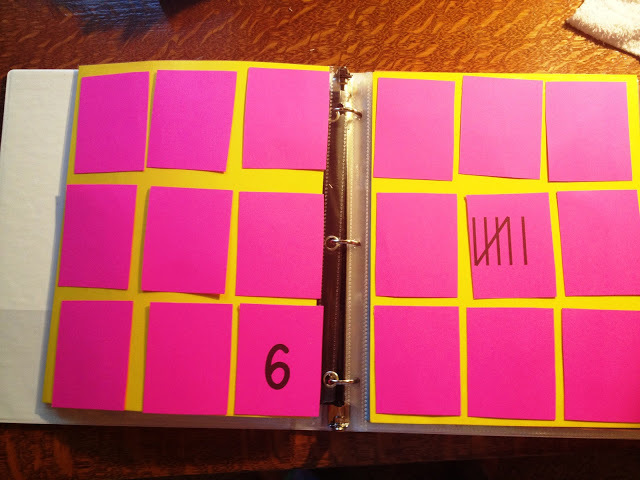 We keep it quite easy though, and make a booklet that has 1-5 down the margin. We then write up 5 questions on the board and they do this when they come in each day. If there is a reliever (sub) then they read silently. Makes life soooo much easier! Thanks for this share, if I ever teach Juniors, I will DEFINITELY come back to get this! This is EXCELLENT. 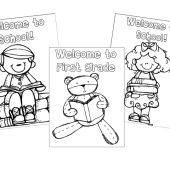 I am a 1st grade special ed teacher… moving from self-contained to a resource position for next year. I would have absolutely used this with my class last year! I will be forwarding this idea on to the other teachers I work with. Thanks for sharing! The first school I taught at had breakfast in the classrooms. Ugh! I feel that pain! Honey buns were the bain of my existence and everything was always sticky afterwards. Bleh! This rocks so much!!! I cannot wait to use it! What a great idea! Holy Cow!! I love this idea. I may use this for my calendar book in Kindergarten. This looks amazing. I love how it's re-usable on a daily basis. 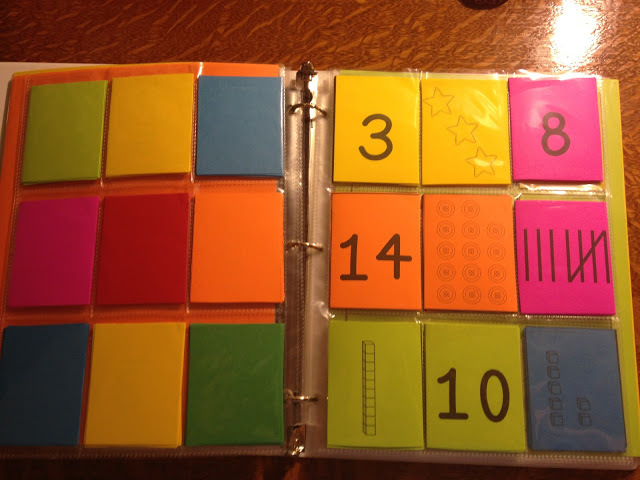 I'm no longer in the classroom but I'd love to feature this product on my Facebook page today! I LOVE this idea! Thank you for your great work! What did you use to print number and word cards to fit inside the trading card holders? Did you use a specific Avery Label size or were there custom sizes to make them on word? Thanks! 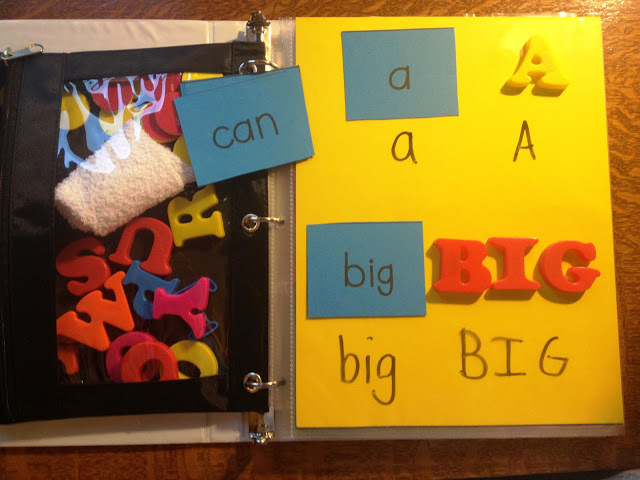 How did you know what size to make the individual letters, sight word cards, numbers, base ten blocks, etc. to fit inside the trading card holder? Anon…a standard baseball trading card is 2.5" x 3.5". The plastic sleeves are made to hold cards this size. Fantastic idea!! 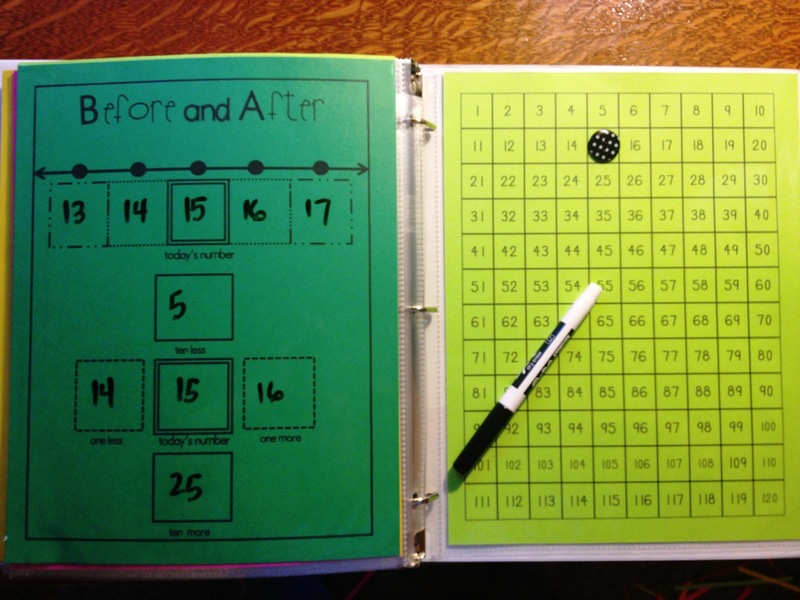 This is so much better than having the children sit through circle time watching one child after another complete these exercises. Your strategy gets every child involved, working at their own level. I will definitely share this with my student teachers. 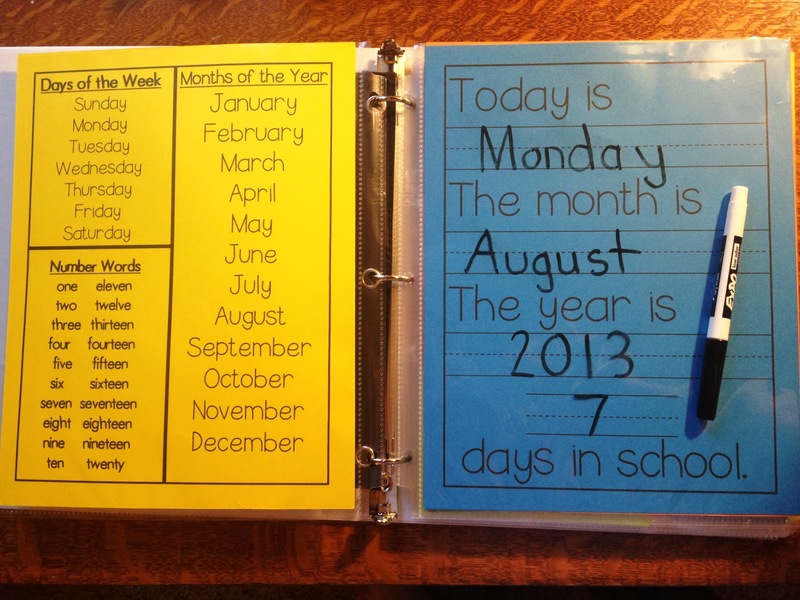 Would you mind explaing how you teach the children to use the binder? I'm sure it takes several weeks for all of the kids to get….but how do start..on the first few days do u wait for everyone to come in and finish eating…second question…this will sound dumb but is this whole group or individually worked on by students? Thanks! This is an amazing idea, I have been putting together a daily worksheet for over a week and nothing was seeming right. This seems great! plus I love your name, my grand daughter is Reaghan. :)thank you! Ooops you did it again! Seriously does your brain ever stop? I love these ideas! Morning work is the bane of my existence. Love this Reagan — I have been playing around in my mind with something very similar for our morning opening/morning meeting! I love your Rise and shine binder! Super cute! I also enjoy your site! 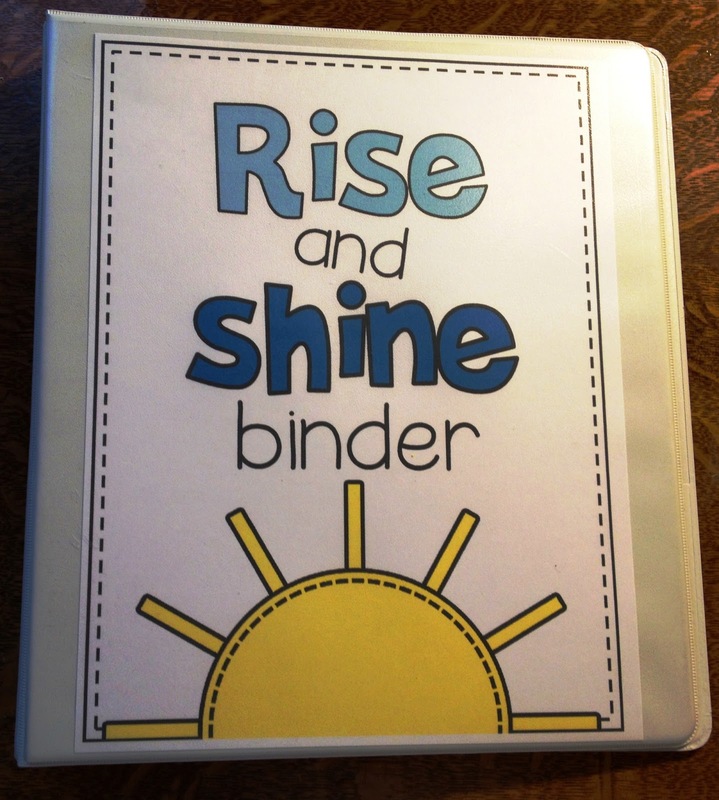 I am teaching 6th grade this year, so I have created my own version of a Rise and Shine binder. Do you care if I use that name?! I also teach sixth grade. I am in the process of creating one. What do you include in yours? We don't do morning work like you do here in Australia, BUT I can definitely see a use for this! THanks for sharing your fabulous ideas!!!! Love, love, LOVE!! A bit of good news for ya. We do not have breakfast in the classroom. Love this idea!! Can't wait to implement it. Oh my goodness, this is genius. I'm a high school teacher so I'm going to try and figure out how we could use this in my support classroom. I will definitely be making one of these for my children to do at home, either in the morning or evening after dinner. Amazing!!! I love this! 🙂 will you be adding your morning work? This is a perfect idea!!! The kids have breakfast in the classrooms at my school as well. I'll be purchasing the binder pack this week. Love the ideas. Thanks, so much. We homeschool and it would be perfect for my kids too. I added "middle name", "last name", and "phone number" as well. You're awesome! Interesting concept. I'll be watching your blog to see if you end up doing it the whole year. I use morning work and I am tired of the photocopying, as well. I think of that as an environmental problem more than a time issue. Main questions: Who wipes off the previous day's work? How often do you think you will have to replace the clear page covers? Do you start with just one page of work and then add different ones? Do you walk around and check the work before they rub it off? And what steps do you take to train them? I am very interested and would like to try this. Are there more instruction in the packet? This is so wonderful! I can't even put into words!!! Thanks! Lucky me, I found binders on clearance…25¢ each! Making my binders tonight. Going to add pages where my kinders practice their names on one side and their student ID numbers on the other. Going to have some of my favorite former students come help "train" them to complete the pages. This is genius!! Thank you so much for sharing this! 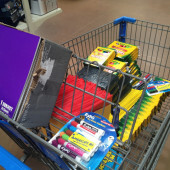 My firsties are going to LOVE IT! 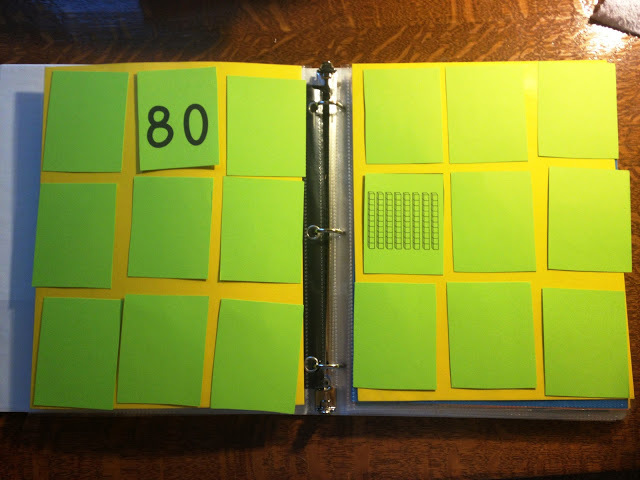 I have loved using this resource this year. 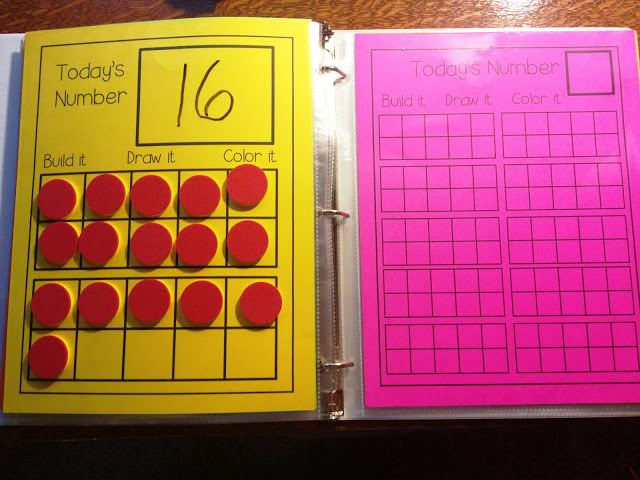 I added a sheet for counting by 2s. 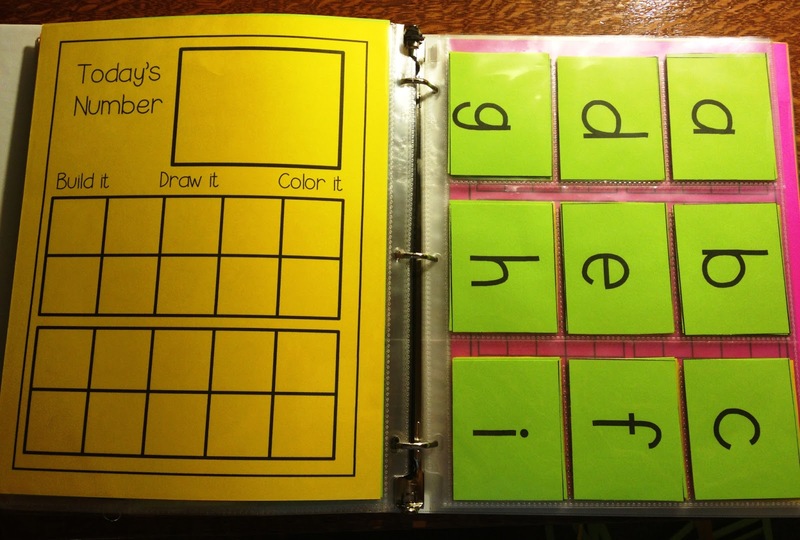 That has been a tough skill and it occurred to me during conferences that the skills my firsties have very little trouble with are those that I have in your binder! So starting next week we will add a new page. Thank you. I have had so many compliments on them. Also for their marker, I glued a pompom onto it and it works great. My kids have LOVED their Morning Work this year. However, we are getting a little too comfortable with the routine. Any ideas for what do you do after the 100th day? Does you morning work change at all since your 10's frames are completely filled? 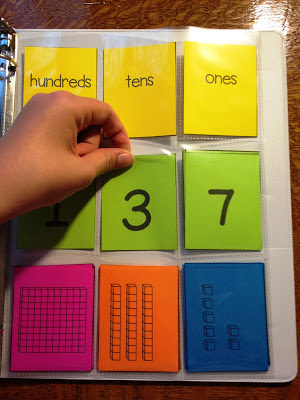 Do you use a number above 100 (or 120 CCSS) as the number of the day? Love this and would love to incorporate in my first grade classroom. Wondering if you have any cost saving tips for starting up. 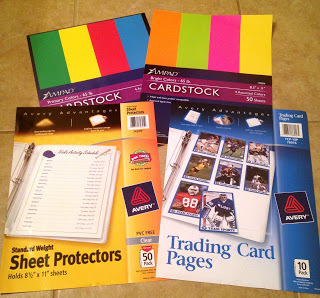 I'm thinking that purchasing 25 binders and sheet protectors/card holders will add up fast! Thanks for sharing! This is awesome! What a great way to start a day. 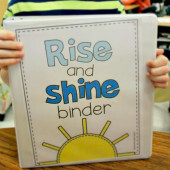 I want to have a Rise and Shine Binder for myself! Thanks for sharing your great ideas. Love this idea. I'm going to implement this when school begins in about 6 school days. 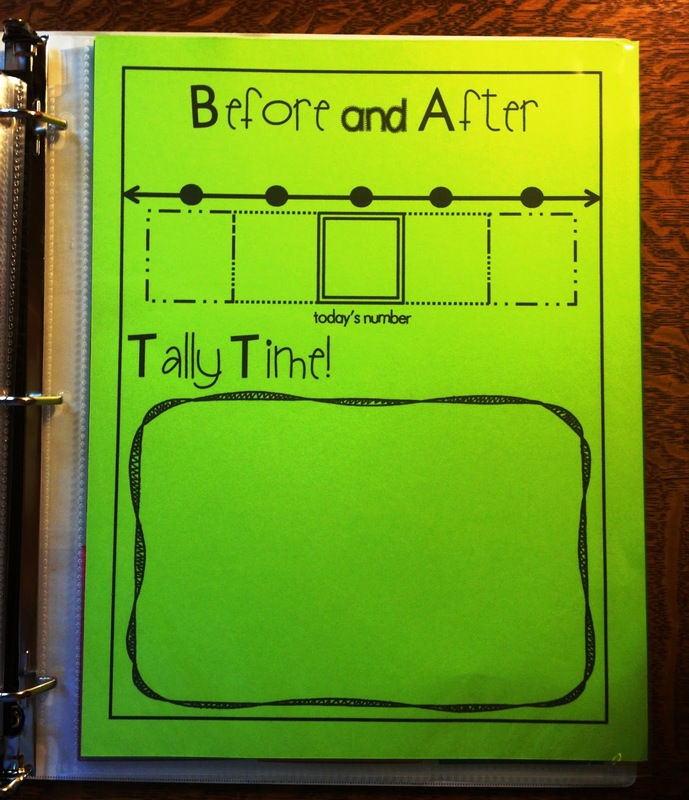 I am thinking I will add a checklist at the front of each student's binder to help me keep track of what my students practice and how often. Since I will have some late comers this may help me see who has how much practice and with what. I can see me using some of the work for RTI also. 1. I have a question about building the number of the day. There is a hundreds, tens and ones column. And then underneath in each slot, are the numbers 1-9 there? I am confused about this. 2. Question concerning the matching games at the end. How do you all suggest putting those in? I am very confused and would love to figure out exactly how to arrange these! 3. (Last one!!) What do they do with their sight words and letters? What activities are used for those? Thanks so much!! Love your products! I love this Reagan! What a great binder! We also do breakfast in the room and I hate it with a passion! Love this!!! The binder is fantastic! I will be sure to follow your blog and you in other places too. 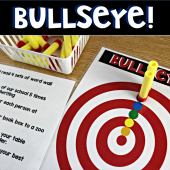 I am new to the blogging scene and to TPT, so I love finding great blogs. 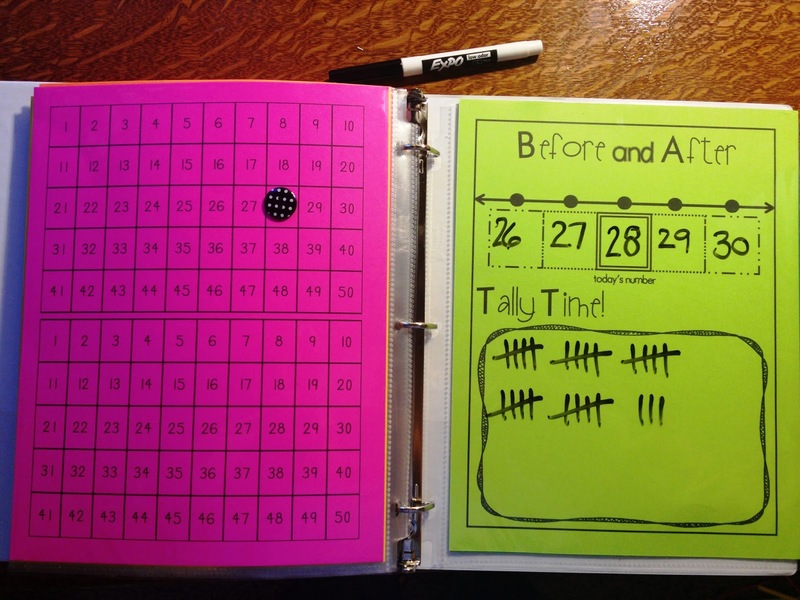 I would love to learn more about ideas to do this with 4th graders..wow such a brilliant idea…love love love it! I am excited to use this as my morning work this year. I am getting ready to assemble for the first time and I'm looking at the cards with digits on it to put in the baseball card sleeves. 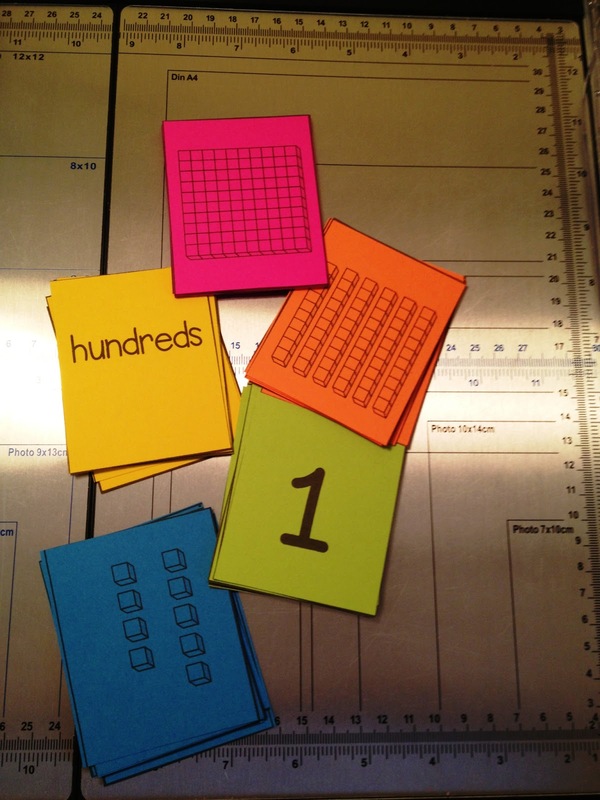 I obviously need to make 3 sets of 1-9 for each kiddo (so they will have 1-9 for H, T, and Ones) , but how many of the page with 1's and 0's on it do you typically make? How do you introduce them and when at the beginning of the year? Could you please site the reference for “Research suggests that the first 5 minutes a student spends in your classroom each morning will set the tone for the entire day of learning”. We all know it’s true- but I’d like to reference the resource for the research in a training. Thx so much!